Here is an article I had published this week, 4/30/12, in our weekly political publication, the JHU Politik. 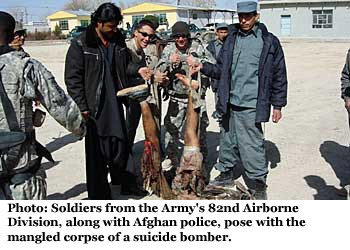 On April 18, the Los Angeles Times did the right thing when it released several photographs of U.S soldiers posing inappropriately with the remains of Taliban suicide bombers in the Zabol province of Afghanistan. 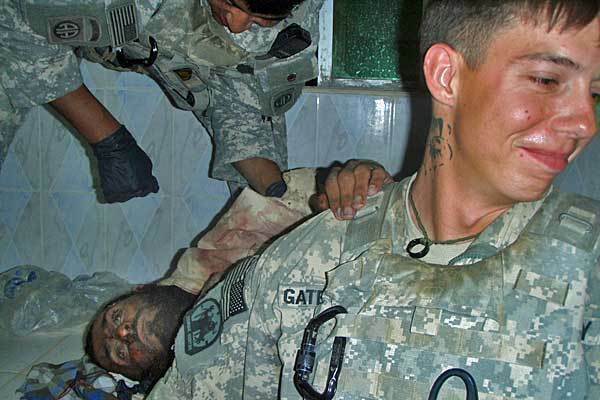 The photos, taken in February of 2010, were purportedly of members from the 82nd Airborne Division’s 4th Brigade Combat Team. Secretary of Defense Leon Panetta criticized the newspaper’s decision, arguing that it put innocent U.S. solders at risk and was a matter that should have been handled internally. It is true that this is a particularly delicate time for U.S-Afghan relations. In January, a video went viral on the Internet showing four U.S. Marines urinating on the bodies of dead Afghans. The following month, several copies of the Koran were accidentally burned at a U.S base, which resulted in riots and deaths for both Afghan citizens and U.S troops. Then in March, a U.S Army sergeant massacred two Afghan villages, killing 17 people in a nighttime raid. It would have been tempting for the LA Times to not publish these photos. They might have argued that from a national security standpoint, the timing was not right for such public knowledge. However, the newspaper took the brave route, and did its job. The Army launched a criminal investigation after the LA Times showed them official copies of the photos, which were given to the paper by a soldier from the involved division. The Army strongly condemned the actions in the photographs. The role of the press, is not in the job of doing PR. While of course editors will always have to make hard choices about what does and does not go to print, they do have an obligation to the American people to inform them of the truth, even if it is ugly or shameful. Some alleged that the Times could have written about the event without publishing the photos. But it is much harder for the government to dismiss such military abuses as abstractions when citizens are exposed to actual images of the crime. The reactions to images of the My Lai massacre and the human rights abuses at Abu Ghraib prove as much. White House Press Secretary Jay Carney said, “we’re disappointed” that the pictures were published. But criticism should be kept to the culprits of the abuse, not the journalists who shed light on it. The Obama Administration’s “disappointment” for the choices of the free press is troubling. The American people are paying for these wars and have the right to review evidence of abuse. They have a right to see these photographs, even if they are, as we’re told, exceptions to normal conduct. It’s unclear how these photographs will impact US-Afghan relations or change future military training. But what we do know is this: the American people should work to resist the increasing militarization of our American government, and continue to firmly advocate for our democratic free press.